I’ve spent the last couple of weeks deeply immersed in writing a chapter for my book on Indian railways on the period between the wars when they were brought increasingly under government control. Nationalisation of the railways in India was a source of great controversy in the first couple of decades of the 20th century with the Indian public largely in favour and the British commercial interests largely against, which was hardly surprising since they owned and ran the railways from their distant London offices. Eventually, after much pressure, just after the First World War a committee was set up to examine the structure of the Indian railways chaired by Sir William Acworth. Despite being a Tory politician, who had once been a member of the London County Council (the forerunner of the Greater London Council) and, although on his own admittance, he favoured the involvement of the private sector, he unequivocally supported the takeover by the state of the operation of the railways, many of which were government owned but privately run. In coming to his conclusion, Acworth had done something interesting. Rather than merely relying on his prejudices and those of his fellow committee members, he sought evidence from across the world and found that, with barely any exceptions, railways run by the state were more efficient than those in private hands. We live now, though, in more ideological times. Empirical evidence is dismissed as the unfathomable work of experts, a breed which in these times of the political soundbite and the 140 character Tweet is considered by the likes of Michael Gove as not worth hearing. Instead, we have a hard ideological division with one side arguing that only the public sector can deliver a decent service, and the other preaching that private firms are more efficient and innovative – and both have tin ears. The forthcoming decision over the future of London’s suburban rail services offers an interesting test of whether ideology or empiricism will win out. 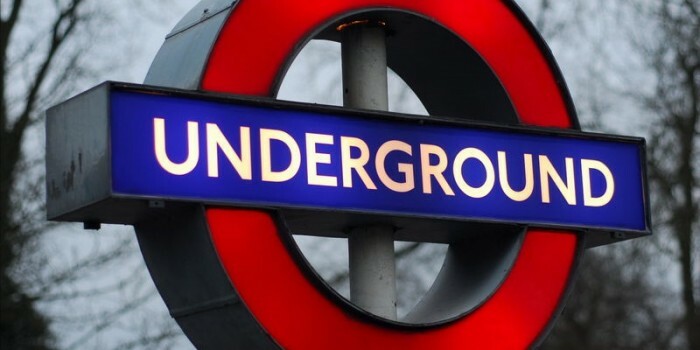 The Mayor of London, Sadiq Khan, has set out his ‘business case’ for taking over a vast number of suburban and short regional services when the existing franchises run out. In theory, this sounds eminently sensible. The London Overground, which now runs a hotchpotch of lines inherited from the national rail network and the Underground, has been an unequivocal success, winning awards and almost universal praise from Londoners. Expanding it to take over various suburban lines seems a no brainer. The idea, of course, first came up when there was a Tory mayor and a Tory dominated coalition government at Westminster. Now, however, there is a Labour mayor and the nationalisation issue comes into play. Taking away services from the private sector will be viewed in some Tory circles as going against their fundamental beliefs. The London Overground, though, is run on a concession basis by a private company and the Mayor has made clear that any future takeover of lines will be on the same basis. The contract for the existing services is about to be passed on November 13 to Arriva which, just to complicate the public-private debate is owned by the German state railway, Deutsche Bahn. This concession arrangement means that Transport for London essentially controls all aspects of running the service, such as the timetable, service levels, branding and staffing arrangements (all stations are staffed throughout operating times) and collects the fare revenue so the private company has very little say over its operation. The Mayor’s business plan rightly suggests that an improved train service will help the economic development of large swathes of south London. The key, though, is whether there is the money to pay for it. London Overground is not a cheap railway to operate and has benefitted from new rolling stock, and, recently, additional carriages turning four car trains into five. The risky part of the Mayor’s strategy is whether there are the funds available to run these new services at the same standard as the existing ones. That is a big political gamble as without the funds, taking over these services and not improving them will be seen as a major failure. So, the question is, will the government co-operate or play ideological games? Sir William Acworth would undoubtedly have done the right thing. A couple of trips on the Rome underground and then a 120 mile trip from the capital to Terontola, a key station in Tuscany for tourists (and two thirds of the way to Florence), showed me that the grass is not always greener elsewhere. The Rome underground is far worse than the Tube in London was at its nadir in the 1970s when fires were commonplace, stations were dark and dingy, and people actually were fearful of travelling on it. Some of the Rome stations, notably the one serving the tourist honeypot of the Trevi Fountains (don’t bother, it’s more crowded than the underground!) are so dark that it was a struggle to read the map which, in any case, was difficult to find as there is a shortage of signs and destination boards, and every train was full of graffiti, inside and out. It was cheap, a mere one and a half euros, and much preferable to negotiating the overcrowded streets but it shows what happens when investment dries up and managements have no control. The rather rundown and graffiti-laden main line trains have very comfortable seats but there was no catering service, and no announcements (therel had been on the trip up to Rome, including in English) which meant that even the locals were a bit confused about when to get off especially as there are never enough sign boards at Italian stations. The trip though, again, was very cheap costing just 11 euros for a walk on ticket, a quarter of the British equivalent (say London – Ipswich). The service has been somewhat reduced recently as there is now a parallel high speed line running on the line through to Florence which has taken away a substantial part of the traffic, a preview of what might well happen here post HS2. But just as I was ready to argue how everything is better in the UK, apart from the fares, after enjoying a nice ride on the Stansted Express, with, oddly, lots of announcements in Italian, I found that we have our problems too. The state of the combined Underground and mainline railway station at Tottenham Hale was disgraceful and just as bad as some of those in Rome, though with less graffiti. The railings were rusting, the floors crumbling and there was someone’s pizza from last night lying in a passageway (it was midday) and there was a generally dishevelled atmosphere (despite it being a nice sunny day). This station is a gateway to London for many tourists and they will not find it easy to pay for their fares since the Underground no longer has any ticket offices. (Actually in Rome, I had to jump a barrier to catch a train as none of the machines would accept any of my notes and there was no one to help me). At Tottenham Hale, the machines are remarkably complex and there was only one fellow, who was distracted by his mobile phone, to help anyone negotiate London’s fiercely complex system. I asked him how would you buy a bus ticket these days and he said ‘best use contactless card, mate, as it is much cheaper’. The Mayor is reviewing the closure of all the ticket offices and hopefully they will be reopened at places like Tottenham Hale used by lots of visitors new to London. To be fair the London Underground, as the supplement in the last issue of Rail showed, has improved immeasurably over the last couple of decades, but the state of Tottenham Hale demonstrates that it is all too easy to let things slip back.